When Chrissa the Design Junkie featured this space on her Facebook page a couple weeks ago, it immediately left me breathless. 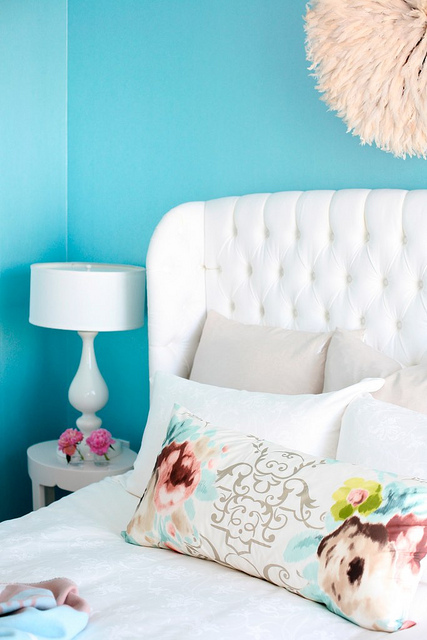 If I could decorate my home entirely in turquoise, hot pink and white, I’d be one happy camper. 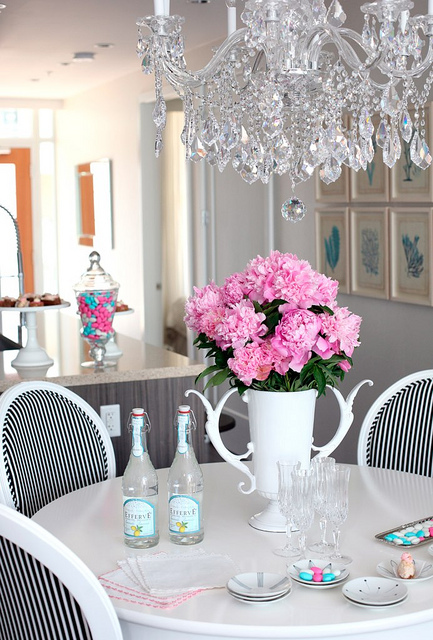 This suite from the Millennium Water Development featured on Carrie Leber’s blog was designed by The Cross Decor and Design out of Vancouver. That bedroom is jaw-dropping…one of my all-time favorites! 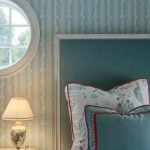 If you want to replicate the look in your home, most everything you see is available in their online store. 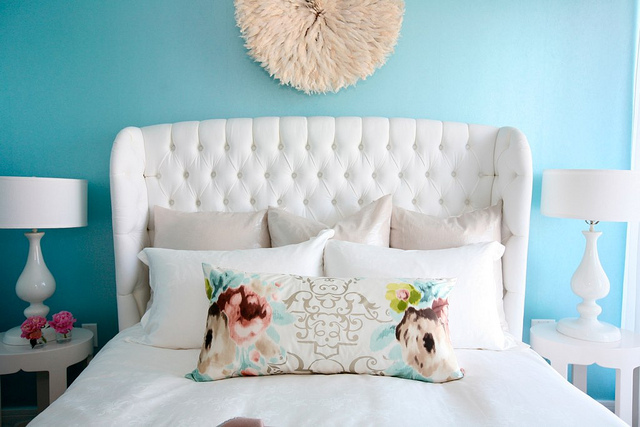 I need that tufted bed! W Design Inc + Pine Cone Hill Giveaway! Oh wow. I love everything about these rooms!!! In a perfect world, my home would look like this, and my husband would love it. 🙂 In the real world, I had to vow to my husband not to use pink. I guess I should be thankful that at least he loves our turquoise kitchen!! What is that cool wall hanging above the bed? I looked all over their website and can't find it. Do you know? Ohmygosh!! This is just beautiful! I love all the white. Gorgeous! Oooh Erin you should see the hot pink/fuschia pillow in my giveaway!! You will love it! I need to live there. Omg I love every ounce of that decor! I these pictures!! I've been looking for a headboard idea, and by jove, I think you've got it!! Thanks for all the inspiration! That was supposed to say, I heart these pictures. OOPS. I want to live in all of those rooms! Simply gorgeous! I am looking for turqouise silk drapes. Can you suggest a place to find them, inexpensive offcourse! Wowza, this is gorgeous! Wish my house looked like this…although I don't think my hubby would appreciate it! LOL! I love that bed and wall! My room used to be that color. 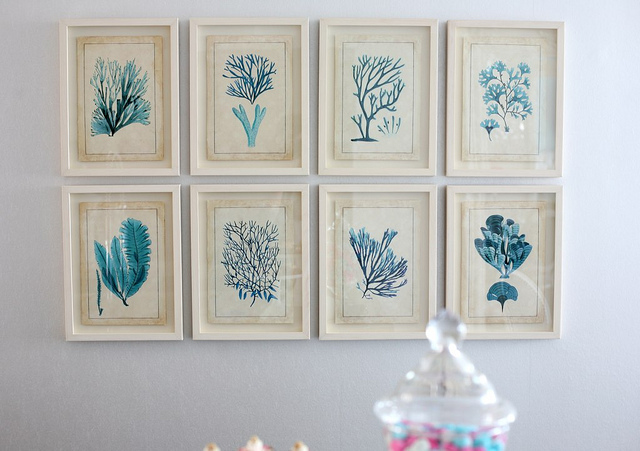 Love it all, especially the octopus triptych! $4900 is a little out of my budget, but online poster stores sell something very similar for a fraction of the cost (and in turquoise!). totally nailed it!! I love everything about all of these photos!! very inspiring!! I love this space! I want that white bamboo rack, hot pink chair and turquoise decor!!! I love this color combo!!! I am so in love with The Cross. 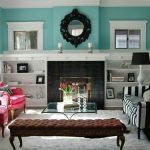 Did you see the Turquoise House they have posted? I am trying to convince myself that $155 is worth it for my most favorite item just about ever. love that first shot! turquoise has always been a color I said I would use more of if I were still single. I love the color of a tiffany's box. I really like the room designs. I especially like the room with the turquoise walls. The white on turquoise looks great! just irresistible, I love it, the wall color is wonderful. I like everything! I could move right in. 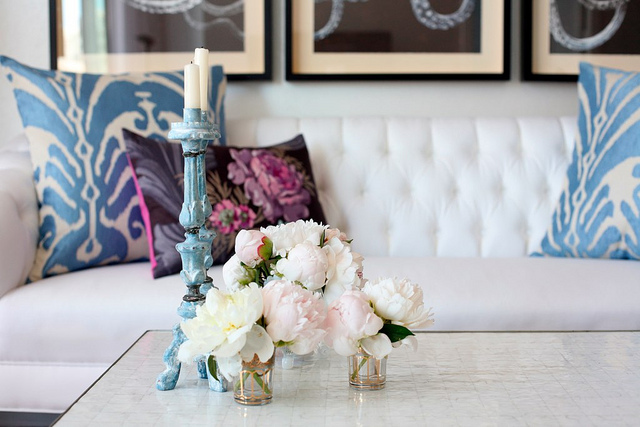 I love pops of hot pink with turquoise. The whole house is gorgeous! Erin, just started my new blog with a tribute to the lovely A-M who i know you follow, just wanted to let you know that your blog is full of inspirational designs that have kept me captivated for hours. Absolutely love your latest [ be still my beating heart] again thankyou for bringing so much beautiful inspiration to my life! These rooms are just exquisite! I love the turquoise, it just looks amazing…I'm speechles! Love the Octopus! Getting ready to put a blue one in a client's study. Thanks so much for more great pics and inspiration!!! Good Lord….. they're some of the most stunning photos I've seen in a long time. Not only is the decor and the colours (not to mention the gorgeous cushions) simply beautiful, but the photographer is obvioulsy super talented. The whole thing is awesome (did I mention the yummy cushions… boy I LOVE cushions!). You were totally right, I absolutely LOVE this space, too!! Aside from all the obvious gorgeousness, the octopus pictures on the wall are pretty intriguing. Stunning! I love this house! I am breathless with you. I love this. When I win the lotto I am going to buy this house. Crisp clean and lucsious! Isn't that why we love Turquoise! Beautiful colors and decor! Thanks for sharing!! OMG! Love! How I love the graphic yet feminine nature of the design! Great find!